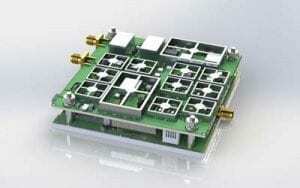 What are the Advantages and Disadvantages of SDR Transceiver Chips in RF Communication System Designs? To say that Software Defined Radios (SDR) are ubiquitous in 2016 is an understatement. What once was limited primarily to the military radio market is now absolutely everywhere, from mobile phones, to Wi-Fi routers, to ham radio development boards, to extremely inexpensive (<$20) USB dongles for spectrum sensing. 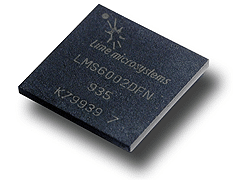 While Field Programmable Gate Array (FPGA) devices paired with custom RF front-end circuits helped usher in the advent of the SDR, dedicated SDR transceiver integrated circuit (IC) chips, such as the LimeMicro LMS6002D, the Maxim MAX2837, and the Analog Devices AD9364, have led to an explosion of options (see: http://www.rtl-sdr.com/roundup-software-defined-radios/). These transceiver chips offer modulation, demodulation, upconversion, downconversion, and filtering all in compact, surface-mount electronic packages. 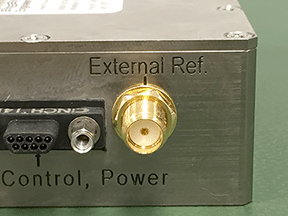 In the high-performance military and government communications market, radio system designers and integrators often have to weigh various advantages and disadvantages of incorporating an SDR chip versus a discrete RF design. For size-constrained applications with relatively limited signal power requirements, an SDR chip can be a very attractive choice. Further, these chips can be augmented by off-chip RF front-end filtering and amplification circuitry to meet spectral mask requirements and link margin goals. Further, some SDR chips are available with multiple channels in one device, therefore full-duplex communications can be supported for frequency division duplex (FDD) implementations. An SDR chip can support a variety of waveform implementations and frequencies by design, with some ICs supporting frequencies from 70 MHz all the way up to 6 GHz. However, the RF performance of a system employing an SDR chip will face inherent hard limits tied to the SDR transceiver IC’s performance characteristics. And unlike a discrete design approach, one cannot simply replace a sub-circuit of the transceiver chain if the entirety of the transceiver is contained within a single chip. If significant supporting circuitry is required to meet RF system requirements, the cost of implementing an SDR chip-based solution may be more than anticipated. Therefore, like many high-level system design decisions, a trade study is recommended to consider an SDR chip’s capabilities and limitations with regards to RF requirements, such as frequency band, spurious and harmonic emissions, receiver noise figure, etc. 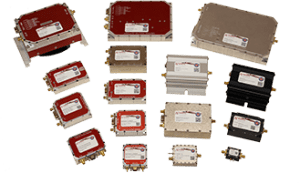 NuWaves Engineering’s RF design services group has experience in developing a variety of RF communication system architectures, including work with SDR ICs. NuWaves applies a holistic approach to evaluating customer requirements and applying the most cost-effective, future-proof RF solution. For more information, contact engineering.design@nuwaves.com. PrevPreviousCan Small Businesses Keep Up with Rising Information Systems Compliance Costs?